Why Build a Multiple Family Home? NSW Department of Planning interview with Genliving clients on "Complying Development" approval. 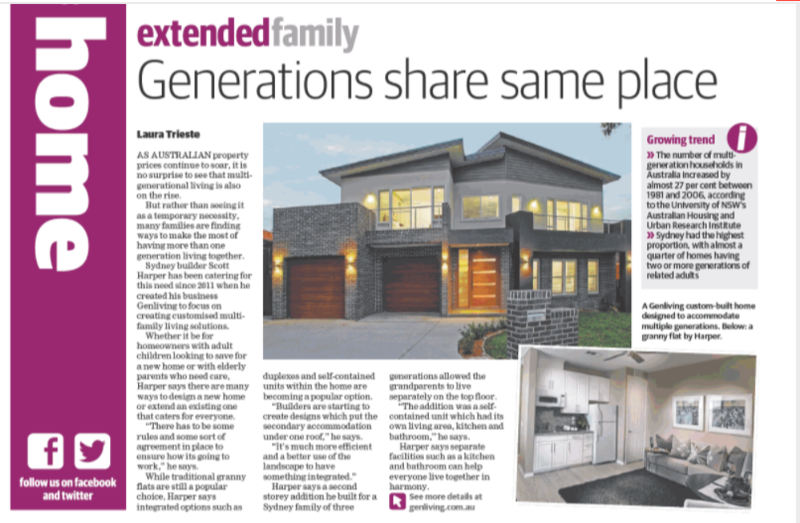 Article in the March 2017 Home Beautiful Magazine featuring Genliving on Multi-generational living. For further information email us on scott@genliving.com.au or alternatively call us on 1300 259 523.